"Map of the evang. generalates and deaneries in the Kingdom of Württemberg"
[English: Map of the evang. generalates and deaneries in the Kingdom of Württemberg]"
"[original caption] Karte der evang. Generalate & Dekanate in dem Königreich Württemberg." Title: "Map of the evang. generalates and deaneries in the Kingdom of Württemberg"
“Map of the evang. 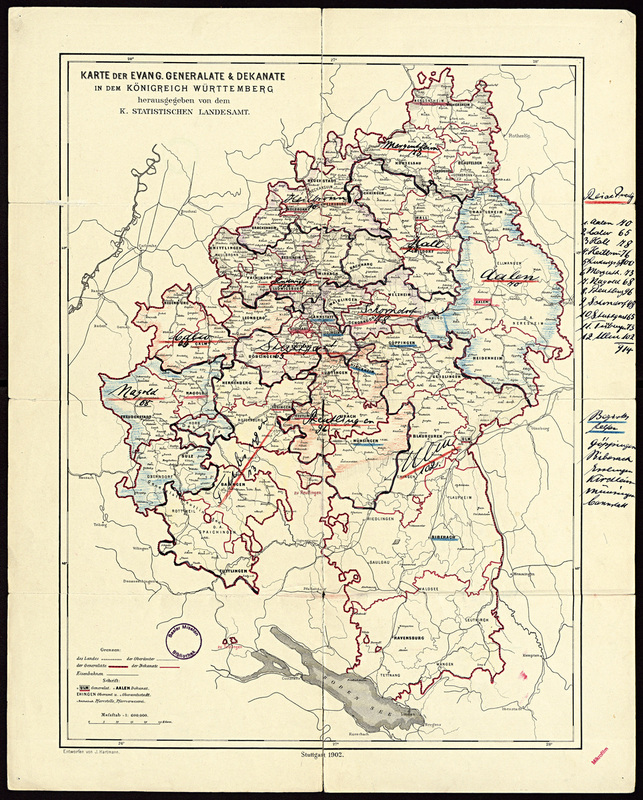 generalates and deaneries in the Kingdom of Württemberg,” BMArchives, accessed April 19, 2019, http://www.bmarchives.org/items/show/100202877.